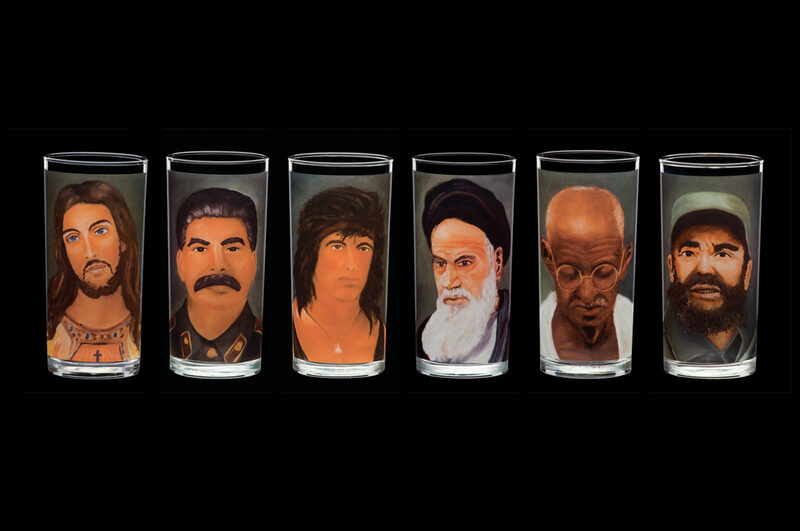 A set of six glasses, printed with illustrations of Carlos José Gama, inviting Fidel Castro, Stalin, Gandhi, Jesus Christ, Aiatolá Khomeini and Rambo to be your meal companions. 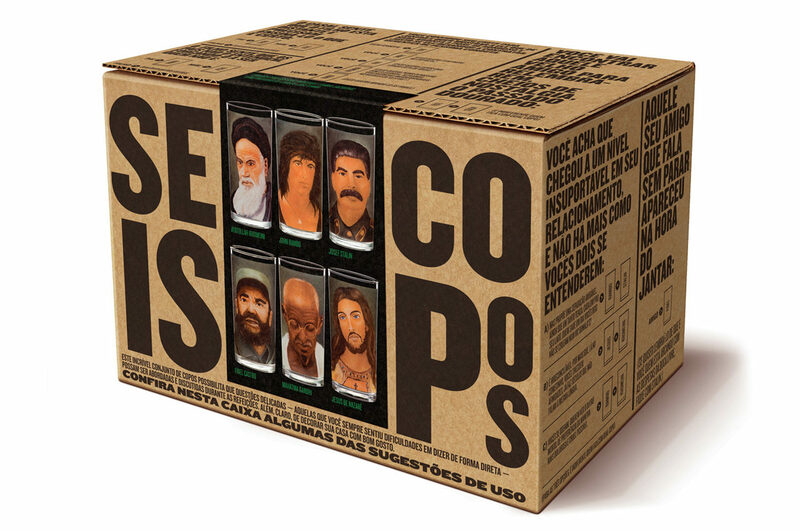 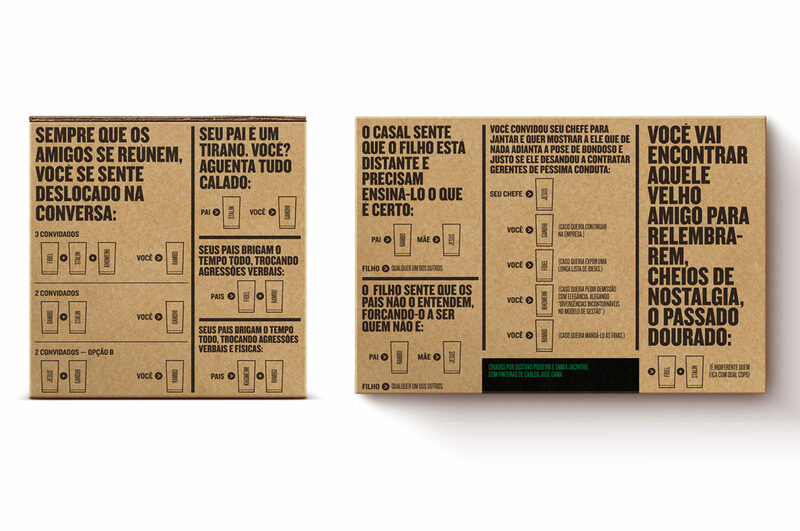 The glassware comes in a box which is more than a mere container, but an indissociable part of the kit, presenting a series of well-humoured “usage instructions” of the glasses to help ease the pressure when delicate topics are raised during discussions at the table. 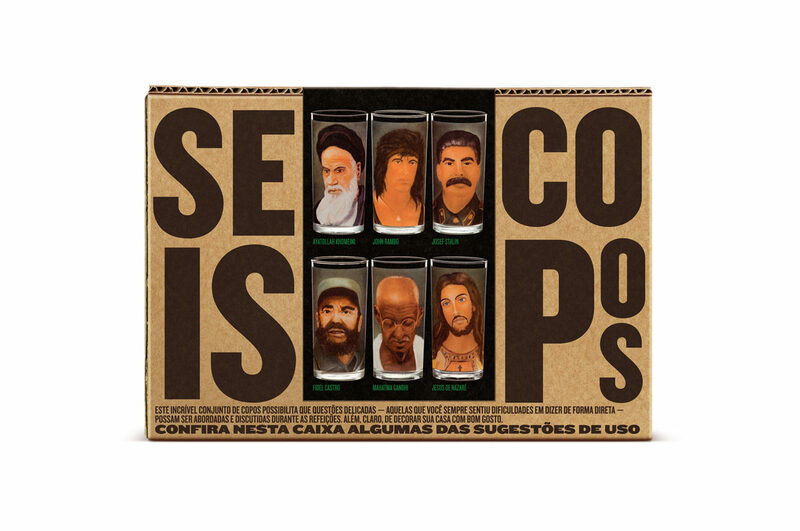 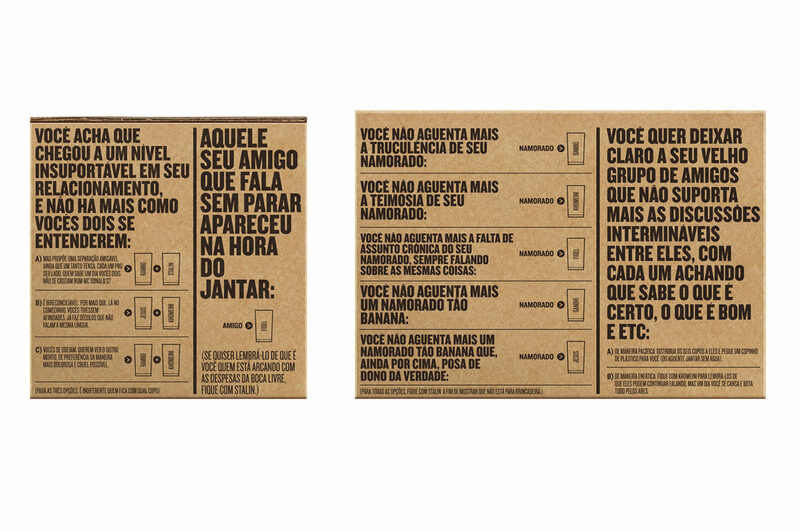 The series was produced in a limited print run of 50 numbered units.